The owner have to wait in the chilly night more than an our because the motorway was closed due to renovation. But he did't say any negative word. Very warm welcome! Thanks for that! Everything was perfect. We travelled back with fresh clean clothes thank to the washing/drying macine. Everything was great. We travelled by car and there was a free parking space. Equipped kitchen. The host is friendly. Excellent host, pleasant and helpful. Very quiet environment, good enough for overnight. 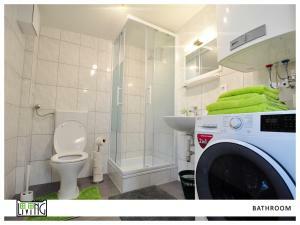 Washing machine and detergent provided. Very light apartment. Plenty of off-street parking and very friendly and helpful host. Very nice room, spacious, staff are very nice. Close to klagenfurt center. Was a good stay for Wörthersee. Our host was very accommodating, we liked both him and the property itself a lot. 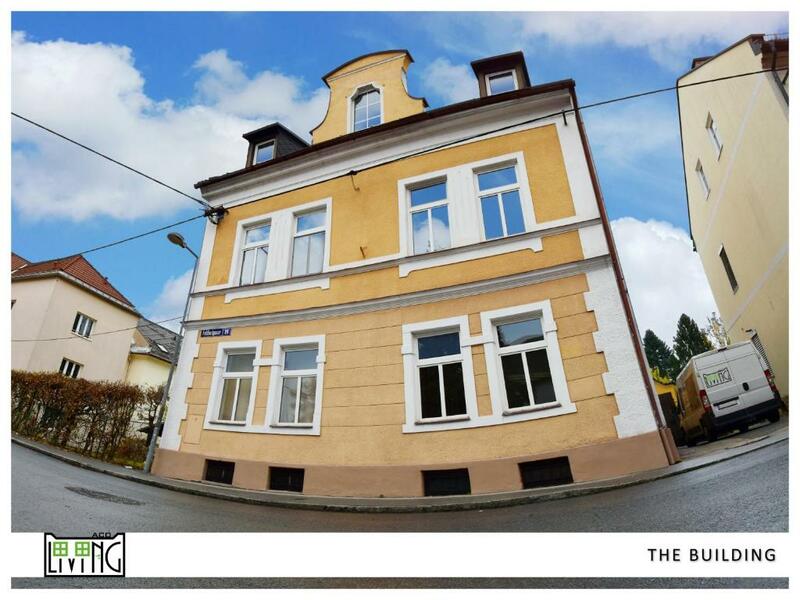 It is located in a nice, peaceful part of Klagenfurt which is just a convenient walk away from the main train station. There are several supermarkets, restaurants and local bus stops in the neighbourhood. As advertised: a good cheap overnight place to hang your hat on the way somewhere else. Good clean facilities, well taken care of. Gerhard was very friendly and punctual. Even threw in a complimentary bottle of Sekt! Nice touch. Keep it up. Perfect for a small family or for a couple guys heading to the hockey game. Our host was friendly and helpful, the stay was pleasant. Definitely suggested. 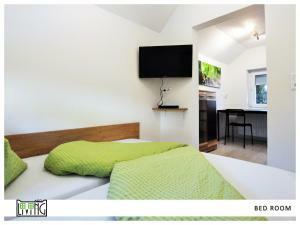 Lock in a great price for ACO Living - A Cheap Overnight – rated 8.9 by recent guests! 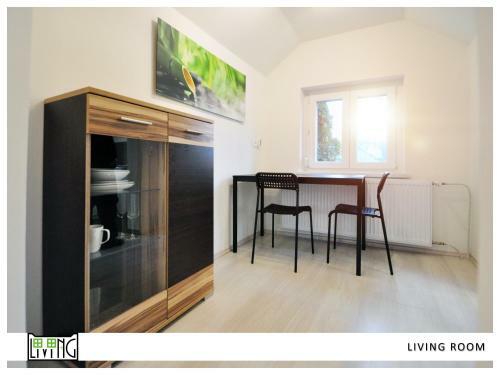 Offering a garden, ACO Living - A Cheap Overnight is located in Klagenfurt, not far from Lindwurm. Complimentary WiFi is offered. Each of the units has a flat-screen TV, a fully equipped kitchenette with a microwave, and a private bathroom with a shower and a a hair dryer. A toaster, a fridge and stovetop are also available, as well as a coffee machine and an electric tea pot. Provincial Museum is one mile from the apartment, while Museum of Modern Art is a 19-minute walk away. 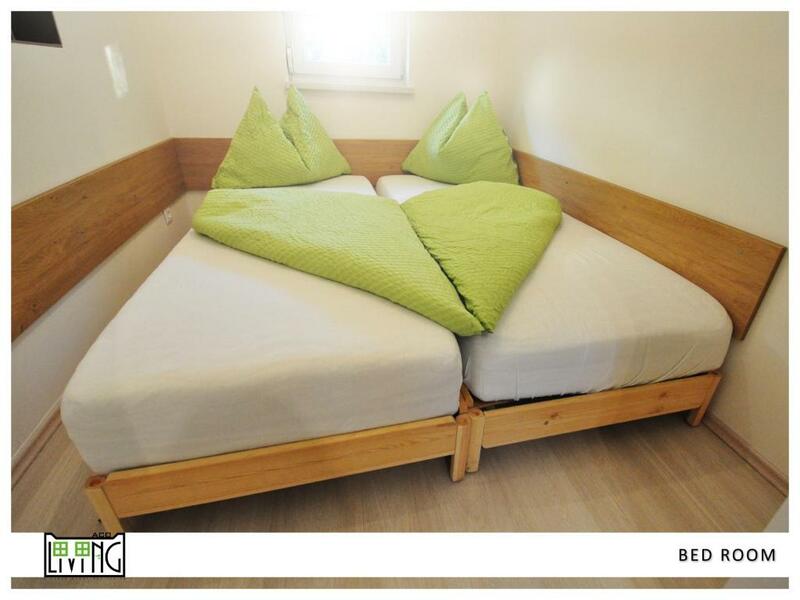 The nearest airport is Klagenfurt Airport, 3.7 miles from ACO Living - A Cheap Overnight. When would you like to stay at ACO Living - A Cheap Overnight? 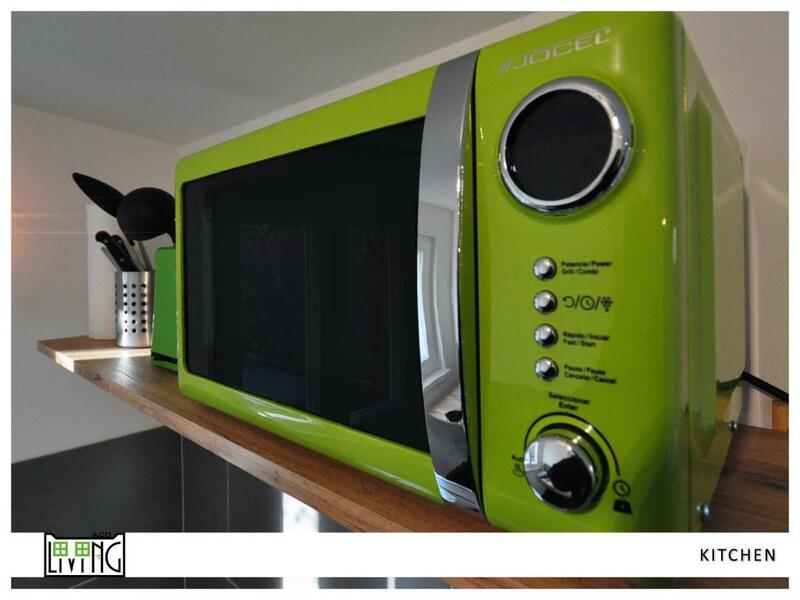 This apartment has a washing machine, kitchen and electric kettle. 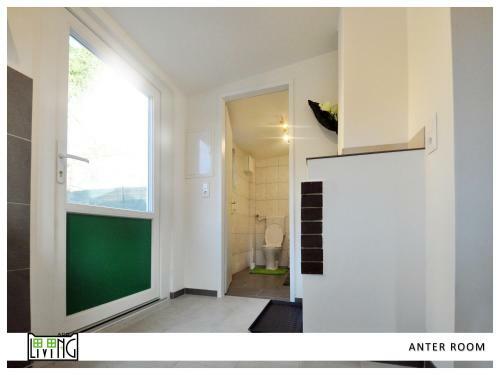 Dieses Apartment in Klagenfurt bietet eine zentrale Lage. Das Apartment umfasst einen Essbereich und eine Küchenzeile mit einem Backofen, einer Mikrowelle, einer Kaffeemaschine und einem Wasserkocher. Handtücher und Bettwäsche liegen in dieser Unterkunft zur Selbstverpflegung bereit. Sie nutzen ein eigenes Bad mit einer Badewanne. Für Unterhaltung sorgen ein TV, ein DVD-Player und eine Auswahl an Filmen. Eine Broschüre mit Informationen über die Umgebung wird Ihnen bereitgestellt. Im ACO Living - Appartement Chill Out wohnen Sie 1,6 km von Lindwurm sowie vom Museum für Moderne Kunst entfernt. Vom Flughafen Klagenfurt trennen Sie in der Unterkunft 5 km. House Rules ACO Living - A Cheap Overnight takes special requests – add in the next step! Please inform ACO Living - A Cheap Overnight of your expected arrival time in advance. You can use the Special Requests box when booking, or contact the property directly using the contact details in your confirmation. Owner very helpfull and friendly. 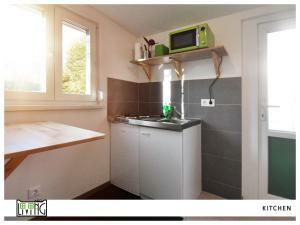 There seems tu be a few similar appartments in the same house, but not the exact size and with same facilities. However, in booking.com there are images of all apartments and you don’t really know what you get. I might ght have missed something, but I was sure our Appartement has two separate sleep rooms, but it was one (big enough, dough, but still) room only. Location is a bit dodgy, not vety central (1.2k from station, 1.6k from center) and quite noisy at night (due to bistro across the street). Because of that, we couldn’t open the windows at night (with neither air-con or fan provided). We tried to use the kitchen one night but we gave up to boil the water after 40+ min or so. So better not to plan any big meals there. Nice, clean, spacious fully equipped place. Although there are window blinds in the apartment, it is still not possible to make proper darkness, therefore you may have issues when trying to sleep from 6 or so in the morning. I went on a wrong property because of the same name. General complaint about renting flats, not just this one - the cleaning fee is high. What starts as a good deal quickly changes upon completion. The apartment is spacious, modern and very clean. There's everything for cooking. The owner is very kind, giving us all the information we needed. Recommended!